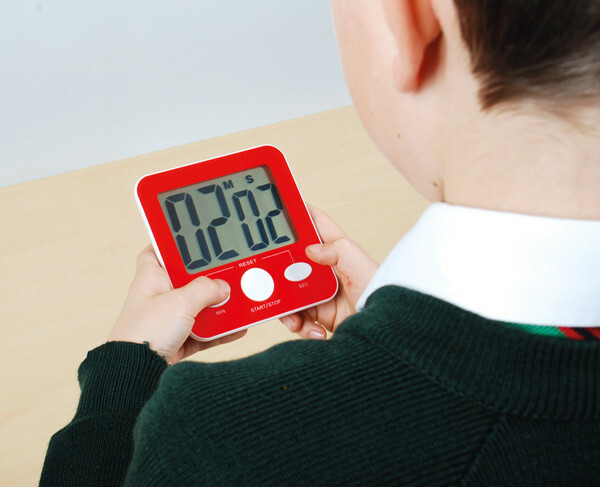 Large clear digital display Jumbo Timer, times up or down in 1 second increments. Integral stand and magnet mount, on/off switch. Measures 100mm x 105mm x 21mm. Size of display 75mm x 53mm.